"Lovely place to kick back and have some relaxed days"
Have a question for Dreamland Beach Resort? "The staff were very nice and accommodating, nice location to relax." "Serene, overlooking the infamous White Island of Camiguin." "The hotel is good , nice Area beach with brown sand." 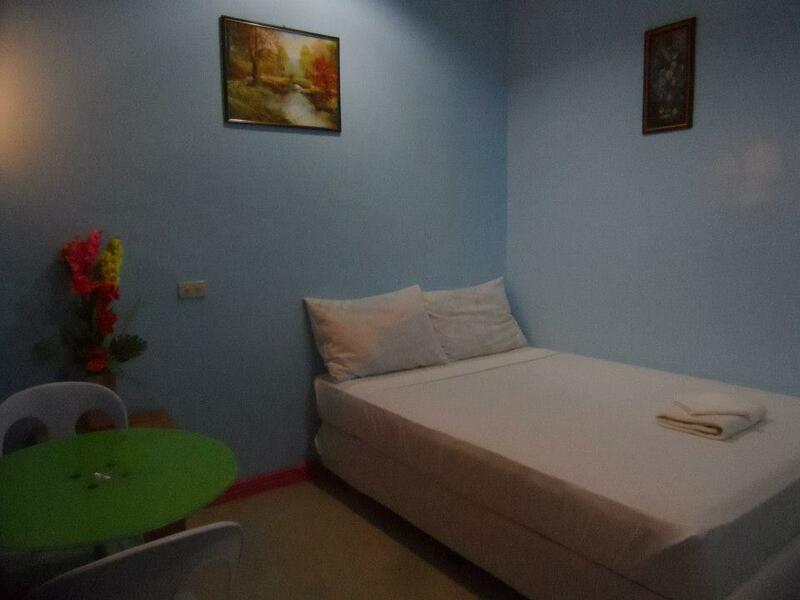 If what you're looking for is a conveniently located hotel in Camiguin, look no further than Dreamland Beach Resort. From here, guests can enjoy easy access to all that the lively city has to offer. 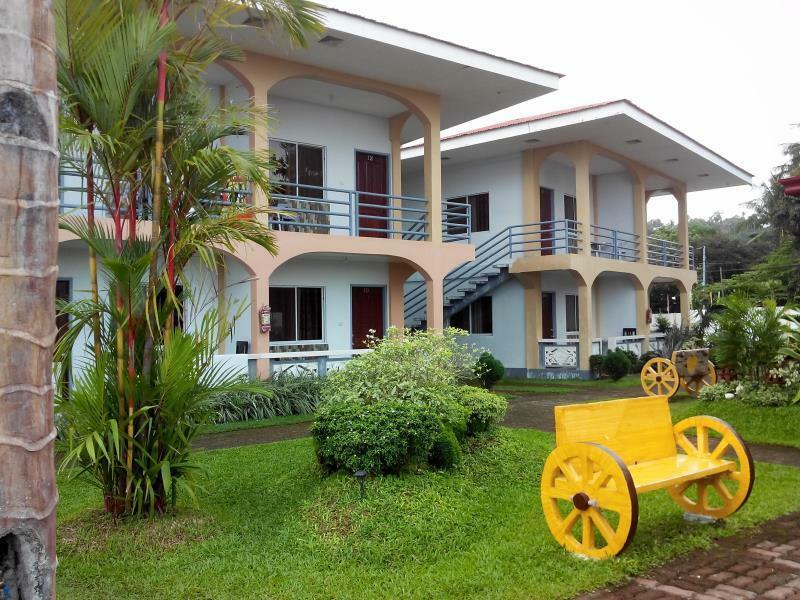 For sightseeing options and local attractions, one need not look far as the hotel enjoys close proximity to White Island, The Sunken Cemetery, Camiguin Airport. 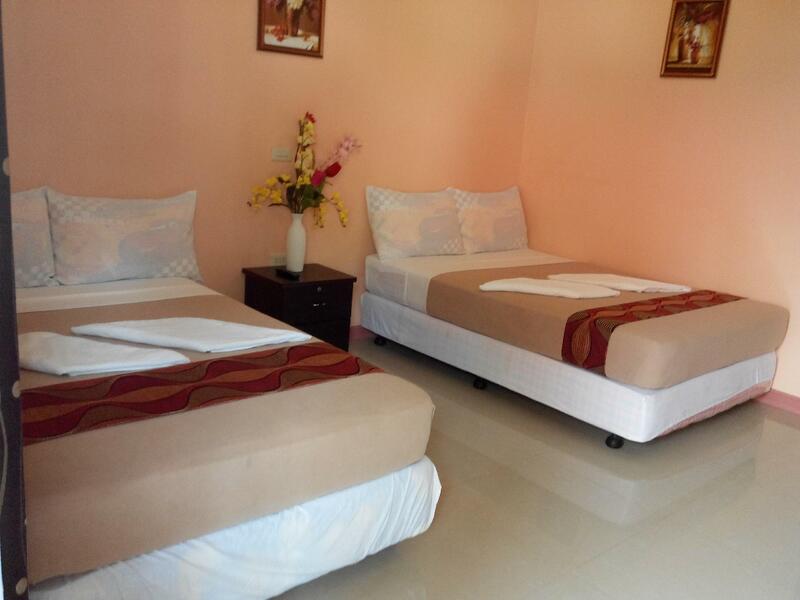 The facilities and services provided by Dreamland Beach Resort ensure a pleasant stay for guests. Top features of the hotel include 24-hour room service, free Wi-Fi in all rooms, Wi-Fi in public areas, car park, room service. Step into one of 19 inviting rooms and escape the stresses of the day with a wide range of amenities such as complimentary instant coffee, mirror, towels, closet, internet access – wireless (complimentary) which can be found in some rooms. Besides, the hotel's host of recreational offerings ensures you have plenty to do during your stay. With an ideal location and facilities to match, Dreamland Beach Resort hits the spot in many ways. This beachfront resort is very relaxing and nicely landscaped. It has a swimmable beach which is nice for a morning and sunset walk. It also has a nice swimming pool. It is also very close to White Island and White Island is the best that Camiguin can offer. RESORT: It has its own beach area- black sand and pebbly so its recommended to swim with aquashoes if you have sensitive feet. Water is clear, clean and cool though. They also have 3 pools with 2 small ones for the kids. WIFI is provided but you can get very strong signal near the restaurant/reception. So great idea lying on a hammock under coconut trees (there's 1 beside the restaurant and 1 near the resort pool) watching your online videos/shows while sipping your beer or sitting in one of my the outside tables/benches while having your breakfast al-fresco. A lot of the guests did that with their laptops prop up on the wooden table while gentle ocean waves lapping on the shores. FOOD: You can order food (from the menu) and these are cooked within 30 minutes so it's always fresh and no left overs (from the previous night). For a small eater, the servings is good for 2. Pre-order if you have an early tour to serve early. STAFF: I have dealt with polite,friendly and accomodating staff. This place has potential. Unfortunetly it's a bit beaten up, could do with some maintenance and better cleaning of the rooms. The first night we har a cocroach in our bathroom that climbed up my leg. The mirror and the sink looked very smudged, and the toilet still smelled. The breakfast is very poor, cheap but I wouldn't mind paying a bit more for a better breakfast (this is not inclueded in the price), I asked for it the night before and said I would ask for it when I woke up, seems like it was already done and cold by the time I got to it. The pool is well kept, there is security at night, staff assisted with renting a scooter and arranging a trycicle on departure day. The view is amazing but the beach is full of garbage, I was surprised seeing that other places in the Philippines hotel staff seem to café about the environment, here they seemed to care more to be watching TV. They should be aware that these small details would save their island and bring better tourists. It's not a crowded island whatsoever, quite the opposite. Possibly because of this they aren't very service orientated nor have much knowlege of maintaining and bettering conditions. Close to white island port, little restaurants near by, best to rent a scooter to get around. We had a great time at Dreamland. The pool is nice especially at night because of the pool lights. :) The staff is very accommodating and friendly. The food in the resto is just okay - suggest to eat somewhere out if you want to eat something delicious. Place is near White Island jump off. Stores nearby. Perfect location, friendly and accommodating staff, great food - what more can we ask for? We will definitely be back and will most surely recommend Dreamland Beach Resort to our friends and relatives! We traveled as a group of 4 staying in a Beach Horizon Suite. This resort is small but very nice to stay in. There were no rowdy people here and the atmosphere was very nice. We had fun in the swimming pool and a walk on the volcanic beach. Motorcycle hire is possible here too. The staff here are very friendly and helpful. Foods are very good and well presented. It is also possible to buy a breakfast in the morning as well. Our room was adequate and satisfactory to our needs. The rooms were a little dated and we did find 2 cockroaches which we evicted straight away ! Overall we had a fantastic stay, a good experience, and 'yes' we would recommend this resort as the best one if you are exploring Camiguin. Their food taste good though they have limited menu available during our stay it's because it was off season. They arranged out tours. We had so much fun. My vacation was a blast. It was relaxing. The staff are nice and helpful. You don't have problem with food. They have restaurant and it's open until 10 pm I guess. They generator and free wi fi. Their swimming pool is clean and also the surroundings. Nice land scape. Our room was on the second floor. It's supposed to be the 1st but since the 2nd floor was free so they transferred us right away. Second floor is nice because it's overlooking the ocean and the White Island. I will definitely stay in this hotel again. It's very near the white beach terminal port and along the hi-way. The white beach is just overlooking from the hotel shore you can see it when it appear in the morning and sunk in the afternoon. The only comment is just they don't regular cook that time so sometimes we went out to buy our food or walk in nearby restaurant about 100 meters away. We booked for a room with tub and fridge, according to the pictures posted and description. But you are to pay 200 per day for the fridge and no tub at all. Bathroom stinks and cockroaches are coming out from anywhere.. SO DIRTY RESORT! breakfast was very expensive for a very dry eggs and burnt bacon! We paid 900 total for airport pickup and port transfer, so many hidden charges, I'll tell you! If u were having a day out, better to grab some food before u returned to the resort, and to pre-order your breakfast for the next day. The restaurant wasn't equipped to serve your orders unless u were prepared to wait for 1-1.5 hrs. U can either walk to the main road to flag down a multicab or try book one beforehand when u arrived at the island. Be prepared to negotiate. 6 of us booked 3 rooms for 3 nights. Bear in mind to pre-order your breakfast, lunch and dinner well in advance else be prepared to wait up to 1 to 1.5 hrs for your food because they would only prepare the ingredients and cook specifically to your order there and then. Looks like a family-run business. Owner not there but run by the sister and her family. Rooms were not cleaned every day as long as u were holding the keys to the bedroom. Make personal requests should you want your rooms cleaned or want clean towels etc. The black-sand beach at the resort is nice for a sunset stroll. Didn't see any tourists swimming in them though. Only local kids loved to play at the shore. And lots of local friendly stray dogs along the beach basking in the sun. The swimming pool water didn't look very clean to us so we didn't swim in it. We were charged 3000 php for booking the resort van to Camiguin Airport. When we were departing, another family wanted to go to the airport as well but instead of allowing us to share the cost, they were charged another 3000 php. I personally think it was a ripped-off. They lack personnel to attend to their guests; only one person for receiving guests checking in and for order taking at their restaurant. Our room was old with a stench in the bathroom. There were many mosquitoes too. Staff are friendly. Serene, overlooking the infamous White Island of Camiguin. Great stay and very near to the jump off point for white island Camiguin. Definitely value for money. Didn't get the chance to dip in the beach (not very appealing) but compensated by the white island and pool. Also very near the restaurants, around 10 minute walk. The staff was very nice and accommodating. They let us do an early check-in at 7am with no extra charge. The food is good for the price. The room was okay, there is paint peeling from the ceiling though... They never cleaned or offered to clean the room while we were there, which we thought was a bit odd. The pool was out-or-order the whole time we were there... Overall, okay stay.